There was some incredibly exciting racing in the Men’s 50 Backstroke, the penultimate event of the day three finals. Chalfont’s James McClenn took gold in the 12/13yrs 50m Backstroke touching the wall over half a body length ahead of the field in 29.51. Silver went to Romford Town’s James Cooper in 29.83, adding a fifth medal to his tally and Havant & Waterlooville’s Luke Pullen taking bronze in 30.29. In the 14yrs 50m Backstroke it was Chester Le Street’s Alexander Mason who clinched victory in 29.49 ahead of Sutton and Cheam’s Kieran Rutter and Mount Kelly’s Jack Hutchin who took silver (29.63) and bronze (29.96) respectively. For Rutter, it was his second silver, having already claimed it in the 200m Backstroke. All swimmers in the 15yrs 50m Backstroke were in line with 15 metres to go but it was Plymouth Leander’s Harry Middleton who was inched ahead to take his second backstroke gold in 28.60. Norwich’s Ryan Smith touched in 29.02 for silver with City of Peterborough’s Matthew Gray taking bronze in 29.91. In the men’s 16/17yrs 50m Backstroke, Jersey swimmer Harry Shalamon topped the podium in the 16/17yrs final after pulling away in the last 10 metres of the race, posting a time of 26.89. 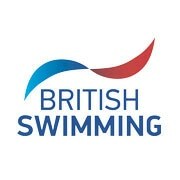 Modernian swimmer Peter Webster took silver in 27.28 and Exeter City’s Liam White touched the wall in 27.47 for bronze. Belgian swimmer Nils van Auderkerke posted a time of 26.96 to touch first in the 18yrs+ 50m Backstroke ahead of City of Salford’s Joshua Cosgrove who was crowned ASA National Champion with a time of 27.21. Plymouth Leander’s Masai Zebe-Chaka clinched silver (27.42) ahead of Abingdon Vale’s Niall O’Leary (27.58). In the final events of the evening, it was team glory for Bicester Blue Fins in the 14/16yrs 800m Freestyle Relay in a time of 8:01.41. It was a tight race for silver behind the Bicester quartet, with Derventio Excel touching the wall in 8:08.00, edging Plymouth Leander into third (8:08.48). Basildon and Phoenix were victorious in the Men’s 17yrs+ 800m Freestyle Relay touching the wall in 7:47.04 ahead of Plymouth Leander who touched the wall in 7:49.10. An impressive final leg from saw Rushmoor Royals put pressure on two leading teams and take bronze in 7:50.95.